Can there be a sweet hereafter for Jesse Sykes after Marble Son? 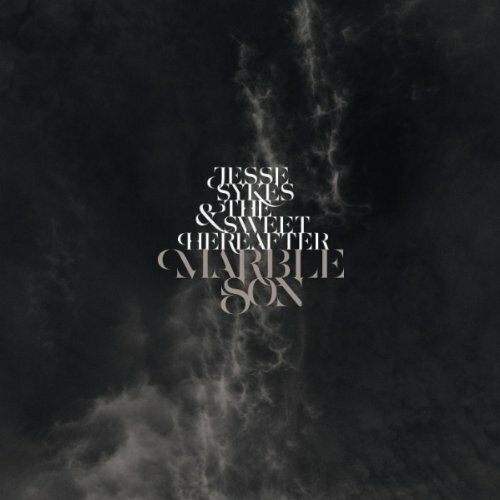 The dive-bar, alt-country sound of Seattle based unit, Jesse Sykes and the Sweet Hereafter, gets a facelift for their fourth album, Marble Son, and strides shamelessly onto shelves. What distinguishes Sykes from other heroines at the helm (like Nico and Neko Case, which she carries the phantasms of in many songs) are the immutably clean guitars of Phil Wandscher. Without Wandscher’s interesting riff collection throughout, keeping you from floating off into the lonely cloud of Sykes incorrigible rasp, the listener is shot down repeatedly with cryptic lyrics track after track. If you have a decoder ring, bring it along before buying this album. By far, the band’s most experimental offering, after wading through the vaguely 60’s sound of songs like “Ceilings High” and “Your Own Kind,” leaving off at the larking chirp of “Wooden Roses,” the last track on the 11 track album, I was left bereft of even a smirk. Upon discovery of past albums for the sake of indulgence, Marble Son, sunk even further into the mire of forced and embarrassing. Their past albums; Reckless Burning and Oh My Girl, seemed to stay true to something, making Marble Son feel even more like infidelity. Wandscher’s distorted twang gained a presence, which is clearly the highlight of Marble Son, but not enough of a redemption factor to voodoo a 20 out of my wallet. If you’re looking for a lethargic, prosaic indie album this summer, Sykes fourth album is your diamond. But if you are just looking for a Neko/Nico fix, put your wallet away and pull out on an old Velvet Underground album from your vinyl collection.